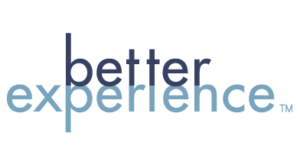 What is the search for the better experience? The Search for the Better Experience is what drives us every day. Our goals are simple: we want to help you plan, design, and broadcast your brand experience, so that you can reach the goals set for your company. What is the better experience? The Better Experience is more than just a process – it’s the philosophy we use for producing custom exhibits that gives your customers the greatest gift of all, an experience. The Better Experience is what drives us to become a full-service trade show management company. We specialize in the exhibit design and fabrication of environments and trade show displays that support our clients’ corporate brand. Allowing our clients to increase their visibility in the public market and differentiate them from their competitors. Passion: We are a creative machine that runs on imagination and fresh, cutting-edge ideas. Focus: Because PG concentrates on quality over quantity, we provide our undivided attention and centralized focus on your goals. Smarts: Our teams of experts know, understand, and excel in your specific industry, stacking years of experience with creative ingenuity to meet your branding objectives. Flexibility: As a small, human-centered boutique agency, we are quicker with estimates, faster in production, and flexible with your financing.